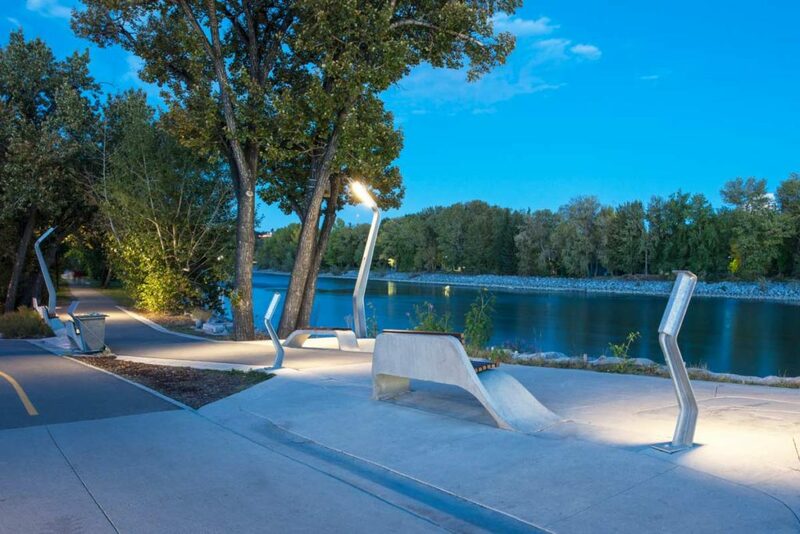 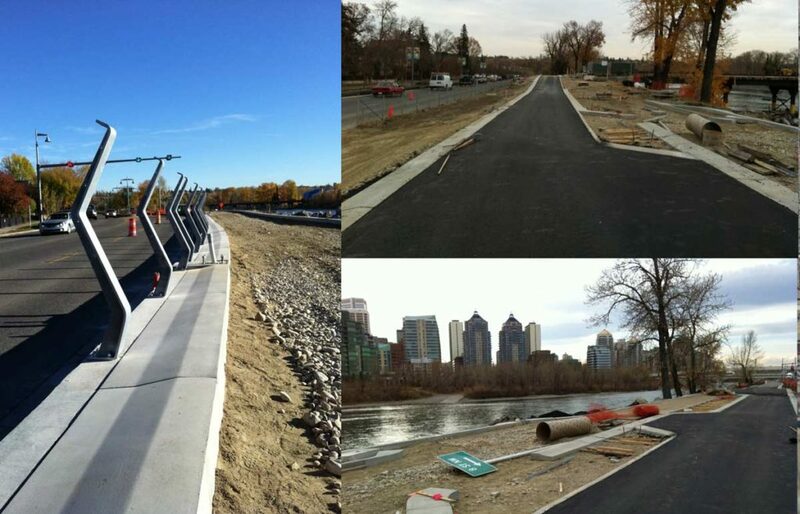 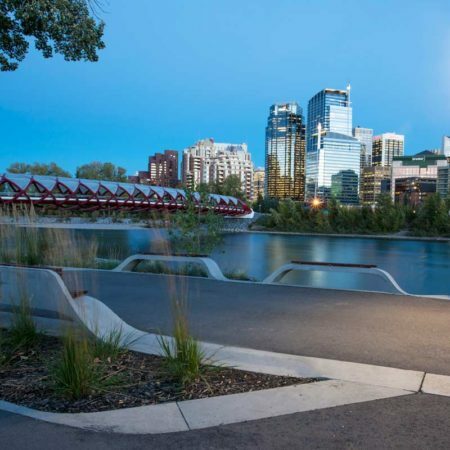 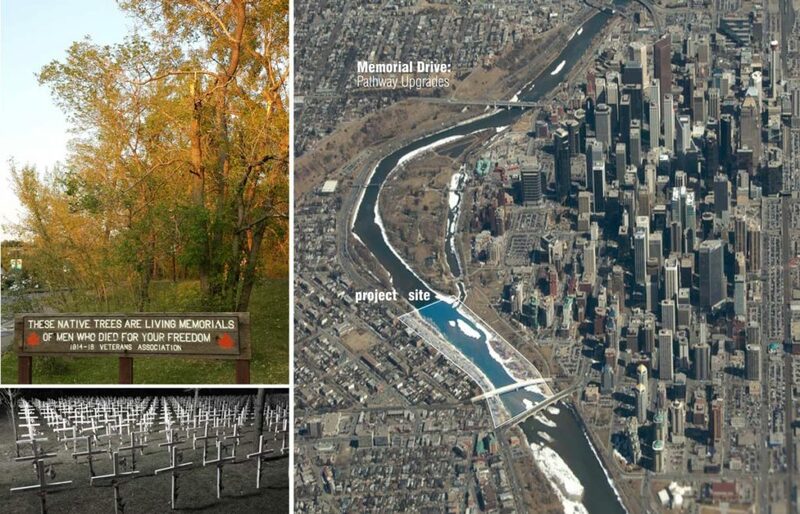 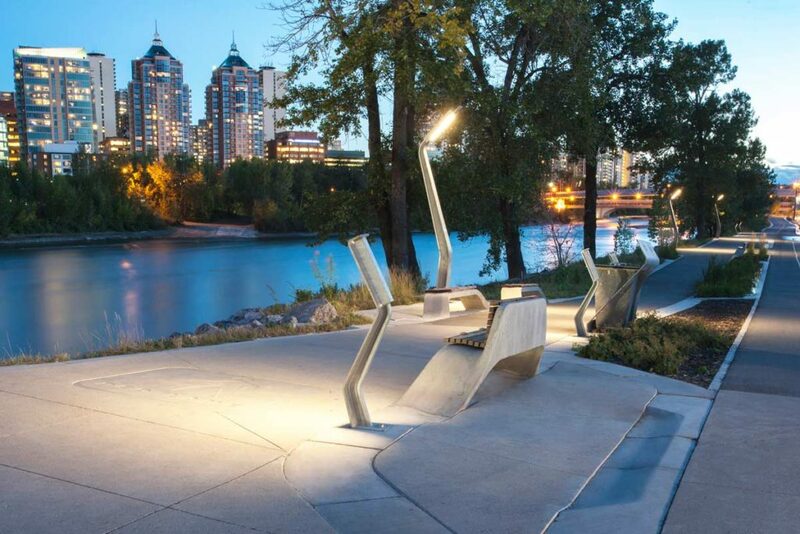 This project seeks to rehabilitate the existing commuter pathways along the Bow River and Memorial Drive in Calgary. 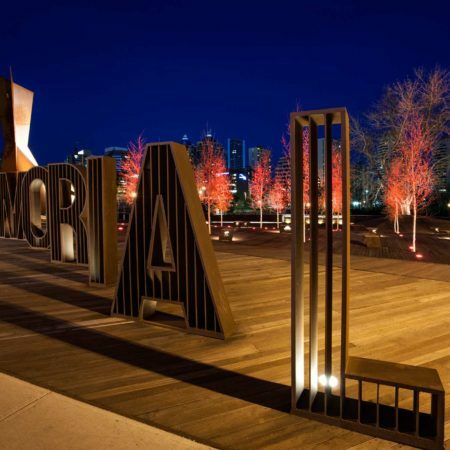 Memorial Drive was originally designed as a tribute to Canadian War Veterans following the First World War and was planted with cottonwood trees to act as a ‘living memorial’. 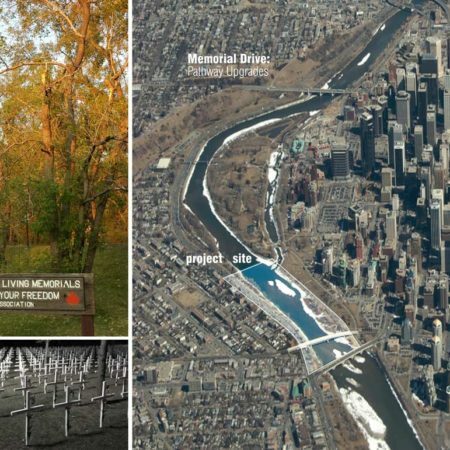 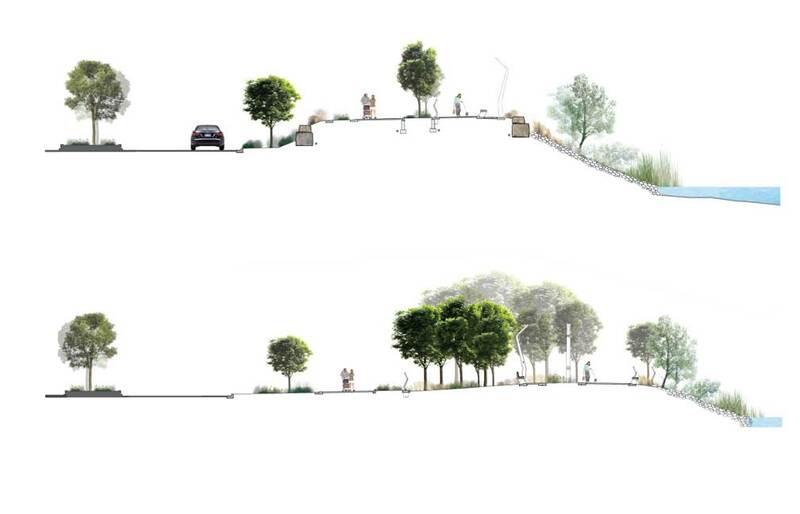 As these trees near the end of their lifecycle, the City of Calgary has initiated a process to rehabilitate and modernize Memorial Drive while reinvesting in the act of ‘memorialization’. 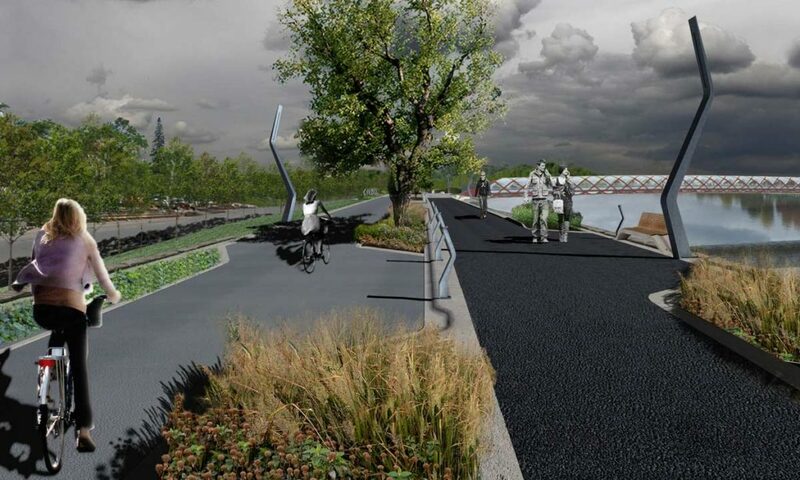 The Landscape of Memory: Pathway Remediation acts to connect two other City of Calgary initiatives located along Memorial Drive: The Peace Bridge and Poppy Plaza. 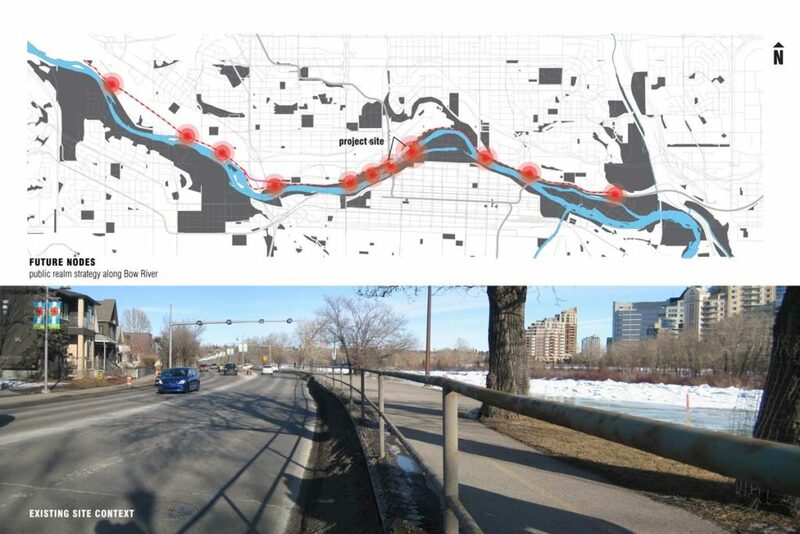 This segment of the pathway network spans approximately 600 meters between the two nodes. 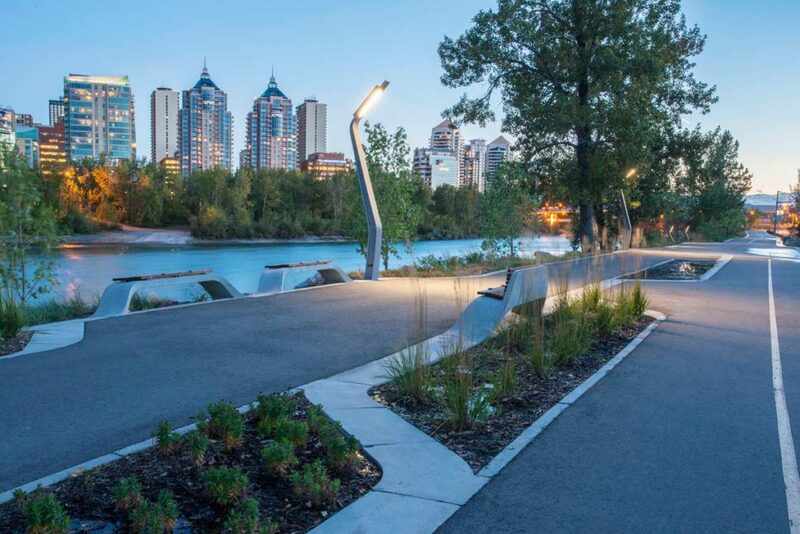 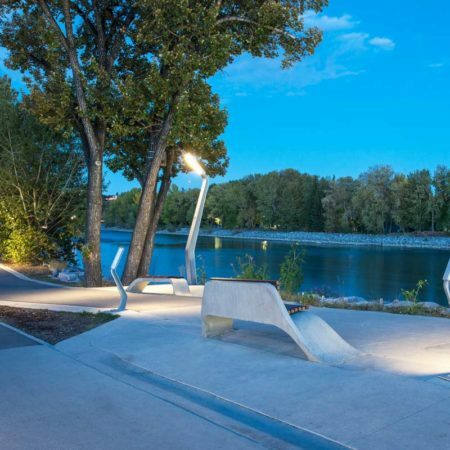 The rehabilitation of this segment provided the design team an opportunity to rethink the nature of the pathway and its role within the next century. 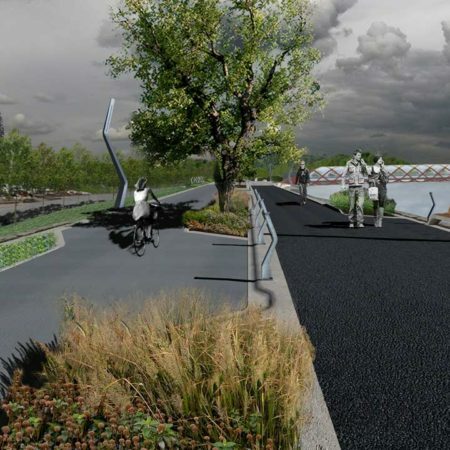 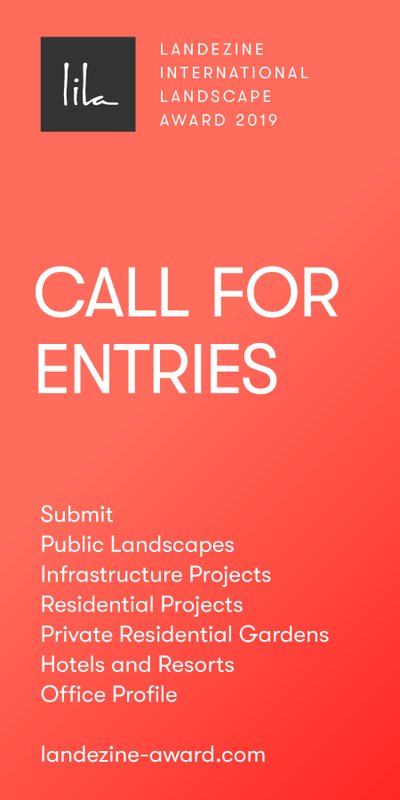 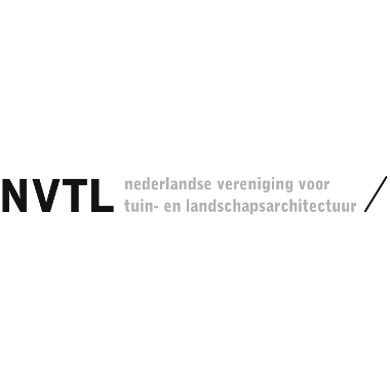 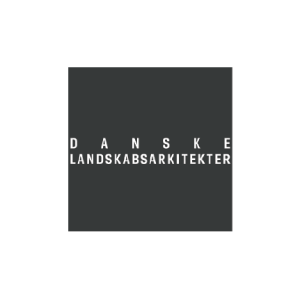 Although the original system is primarily circulatory, a decision was made to create public spaces and opportunities to engage with the river landscape allowing the natural flora to be woven into the pathway. 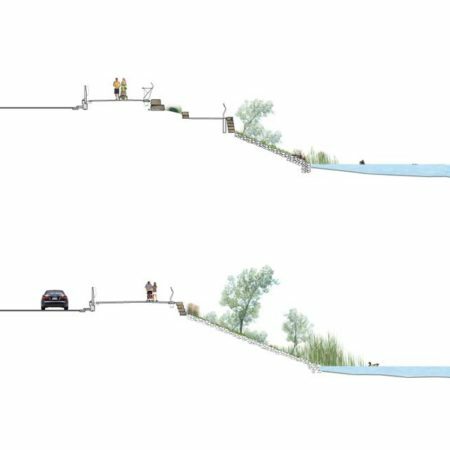 The natural topography along the bank mirrors the river, constricting in areas, but then widening in others. 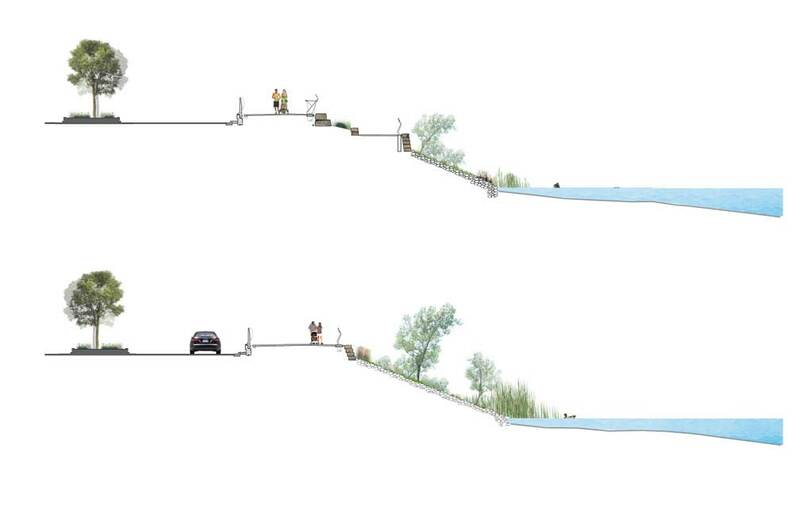 The natural vegetation along the banks has flourished in some areas while being fairly limited in others. 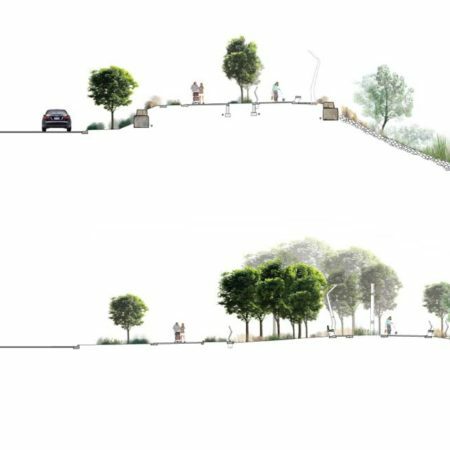 These vegetative nodes punctuate the pathway system along its length, providing moments of respite from the circulation network. 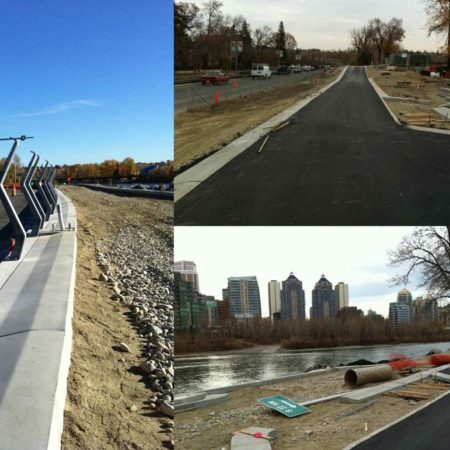 A series of precast components was designed to anticipate the multiple existing conditions along the pathway. 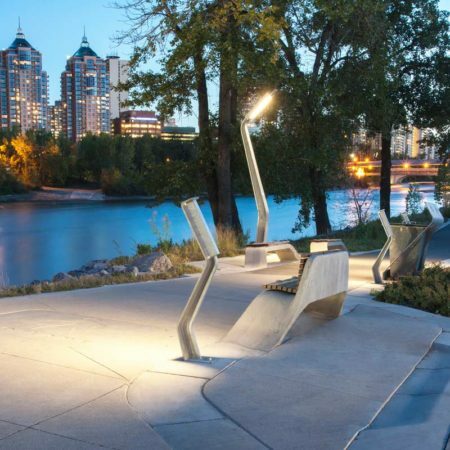 The system could function as edge, signage, and seating while also incorporating lighting elements through its various components. 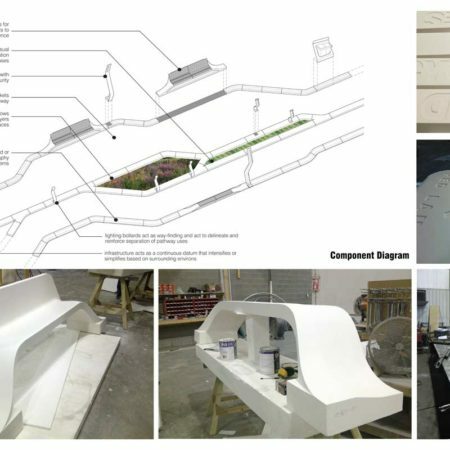 The system was conceived of as both ground and figure along the path, where it could be minimal in areas of confined space, but then expand into pockets of public space. 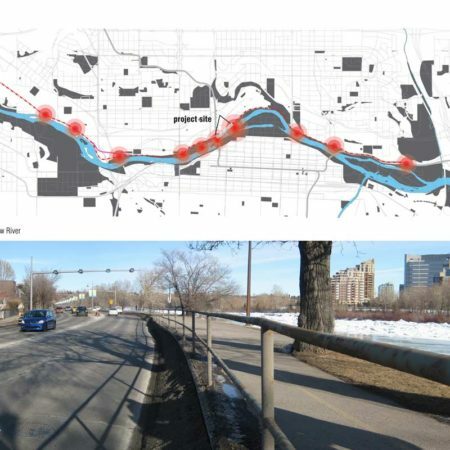 In these larger nodes, the precast system acts as a lens to the natural landscape, diverting the normal circulation flow, like eddies in a river, for pedestrians to pause and reflect. 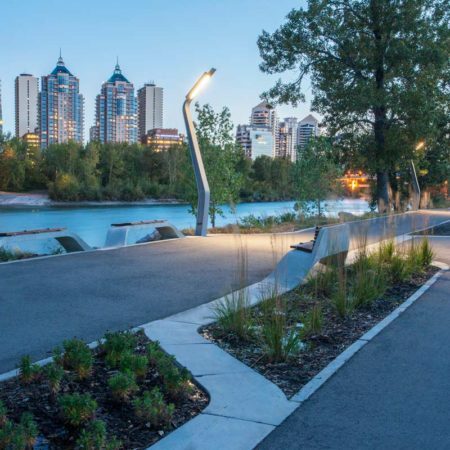 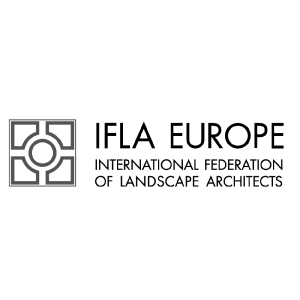 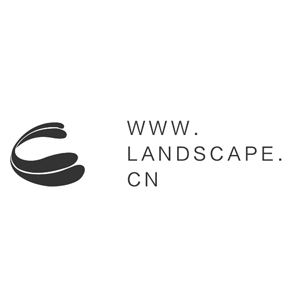 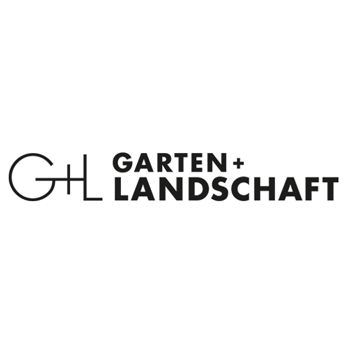 New integrated planting coincides with these moments of intensification or densification of the precast system, which further defines the public spaces of engagement. 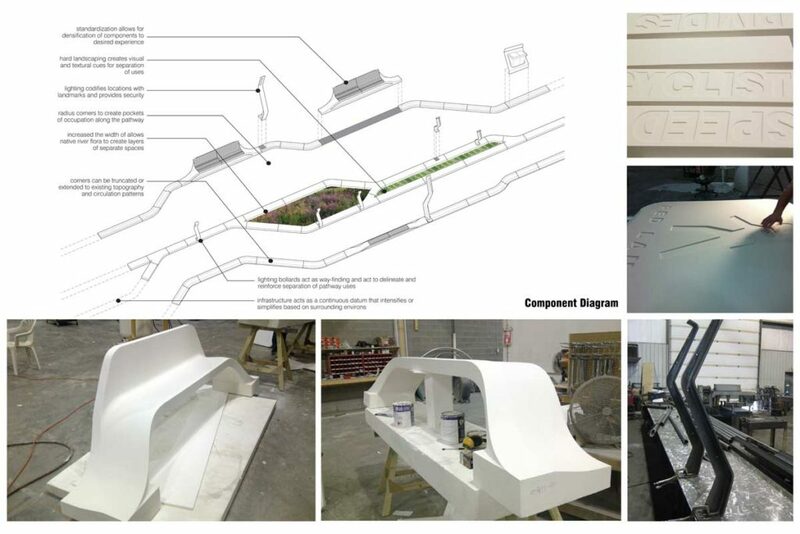 This segment of the pathway network has been designed as a prototype for the broader system; ultimately, the entire network will be upgraded using the same precast strategy. 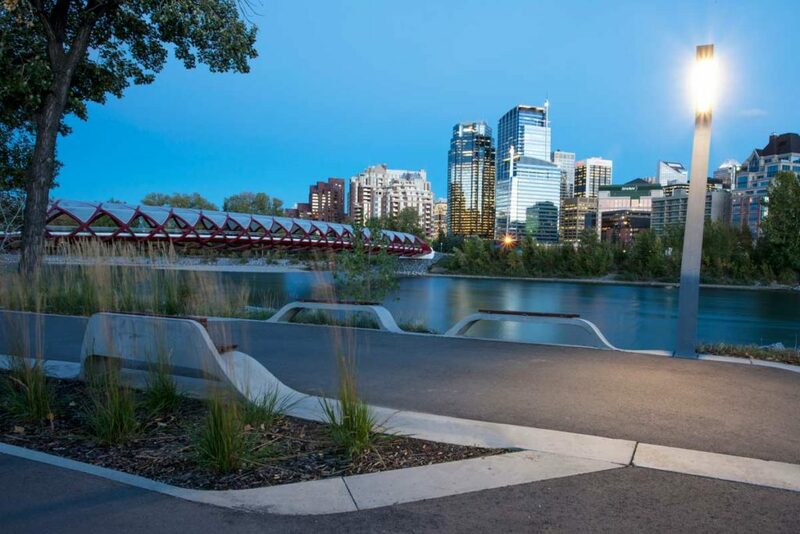 The project coincided with the opening of the Peace Bridge.